Millrock Technology is dedicated to providing the highest quality equipment that best fits our client’s application needs. 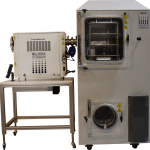 For those that may not know the best solution for their freeze drying application, we have compiled a few questions in this guided freeze dryer selection tool that will help you to better select a unit. If this guided selection does not help you gain a better understanding of the right equipment for your requirements, our technical sales team is more than happy to guide you through the full selection process. Simply request a quote, submit a contact us form, send an e-mail to sales@millrocktech.com or call 845-339-5700. 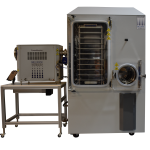 Small Quanta production units are available with steam sterilization. Contact our application specialist.